The proper maintenance of riverbeds in low mountain areas is of strategic value. It lowers hydro-geological risk. A small public-private consortium made the most of measure 226 and optimised the use of the waste wood created during the project. The amount of funds devoted to the prevention of hydraulic risks in mountain areas by national and regional authorities in Italy had decreased significantly in the previous 5 years. Funds tended to be assigned to investment in infrastructure (e.g. roads, bridges, etc.). Proper maintenance of riverbeds and of their surrounding areas nevertheless plays a key role in managing water courses. Moreover, the type of intervention practiced by relevant authorities tended to be very simple and rarely paid due attention to biodiversity issues. 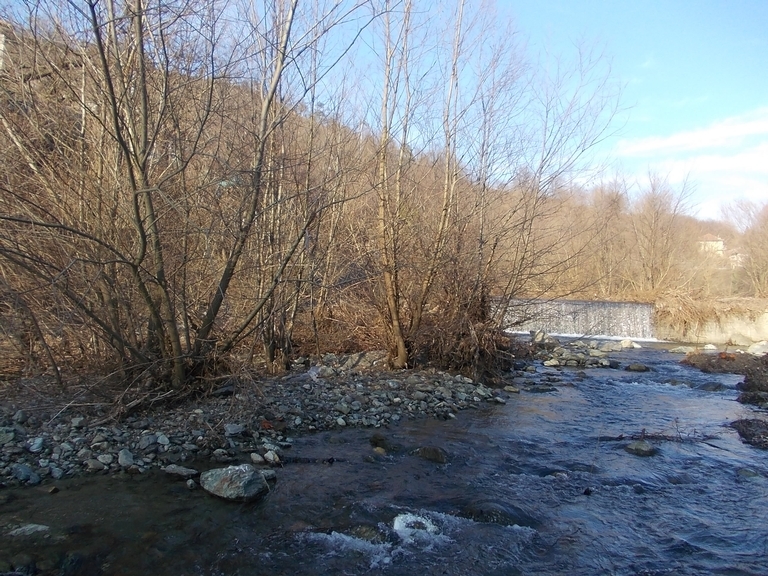 The Consorzio Forestale Valli Stura e Orba (a public-private partnership with over 100 members) applied for funds from measure 226 in order to carry out - after more than 30 years - a much needed series of intervention on the woodland bordering the Valberlino creek. 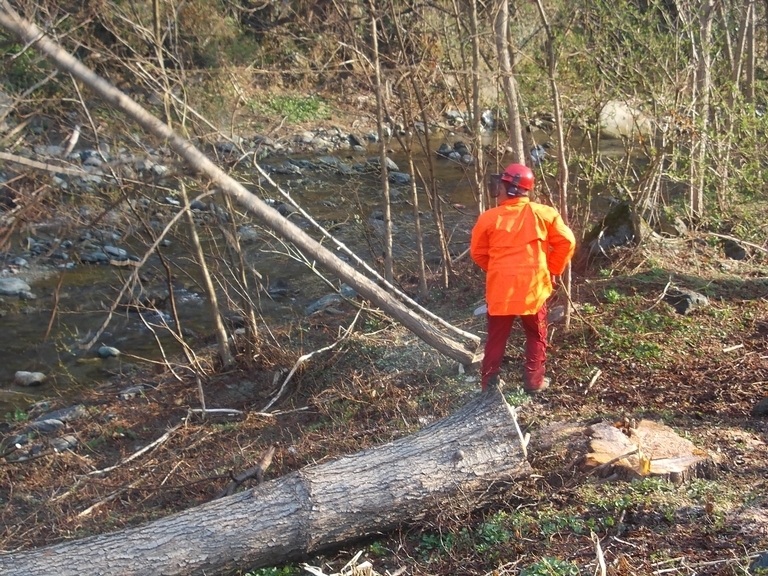 This involved selecting the trees to be cut and improving the state of the riverbed and its nearby areas. The other main goal was to find a suitable destination for the waste wood. After three distinct preparatory actions - finding an agreement with private owners whose estates where affected by the intervention plan; requesting the necessary work permits; and identifying the best use of the waste wood that would be produced - concrete operations on the woodland began. The project effected nearly 1 km of riverbeds, on both sides. The range of treated woodland areas were managed to maintain and enhance their biodiversity potential. The partnership created a best practice example for future interventions, maximising the structural diversity of the treated woodlands. 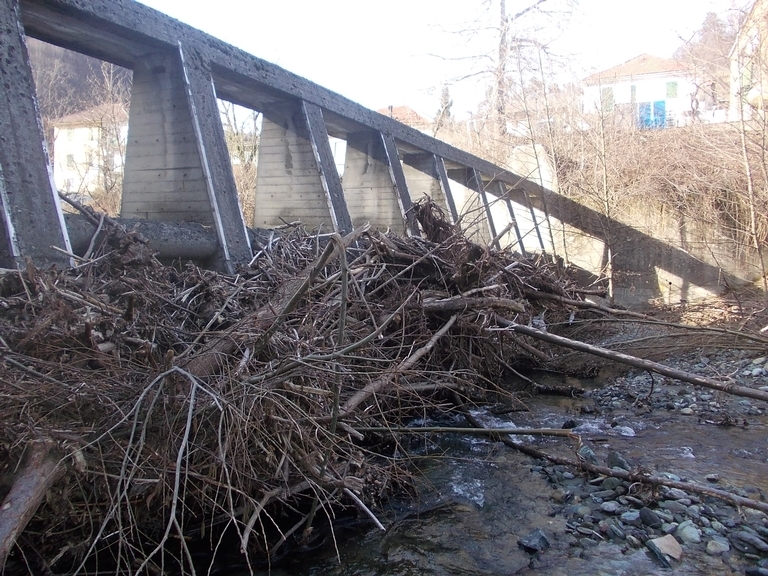 It also managed to re-open and render safer access to the Valberlino creek. 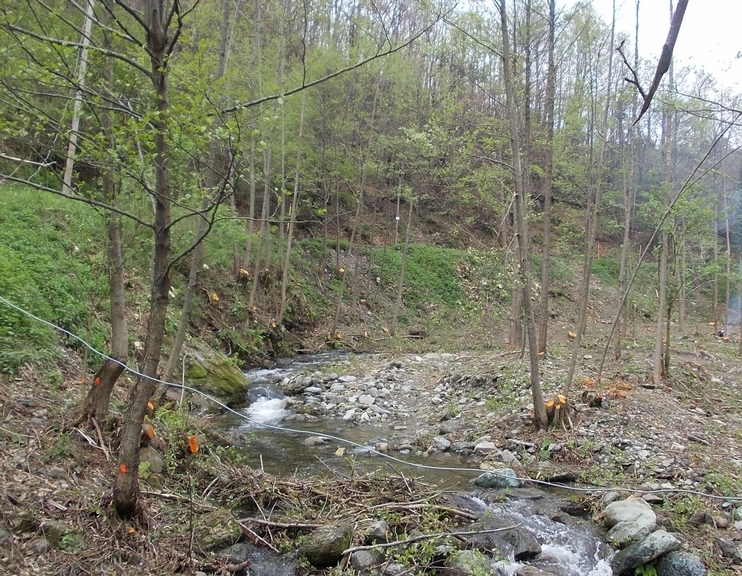 Almost 50% of the resulting wood (200 tonnes) was sent to a small biomass plant (1.2 thermal Mw), in the Rossiglione municipality, just 5 km away from the creek. The heat generated served a series of public buildings (including the hospital, a sport centre and a Red Cross office). There were a number of key learnings. The preparatory phase represents a strong challenge as it is fairly time-consuming (as it involved contacting the various owners and filing work permits). The full municipality cooperation in this project was a key success factor in starting and completing the planned works.